Disposal of carbon dioxide in the deeper parts of oceans has been proposed as one method of reducing global warming. However, many proposals to inject human-generated carbon dioxide into the oceans ignore its possible effects on life at those levels. Brad A. Seibel and PatrickJ. Walsh examined these effects, finding that increased deep-water carbon dioxide levels result in decreases of seawater pH (increasing acidity), which can be harmful to sea creatures, "as has been demonstrated for the effects of acid rain on freshwater fish" (Seibel and Walsh, 2001,319). They found that "a drop in arterial pH by just 0.2 would reduce bound oxygen in the deep-sea crustacean Glyphocrangon vicaria by 25 per cent" (Seibel and Walsh, 2001, 320). The same drop in arterial pH would reduce bound oxygen in the mid-water shrimp Gnathophausia ingens by 50 percent. "Through various feedback mechanisms, the ocean circulation could change and affect the retention time of carbon dioxide injected into the deep ocean, thereby indirectly altering oceanic carbon storage and atmospheric carbon dioxide concentration," said Atul Jain, a professor of atmospheric sciences at the University of Illinois at Urbana-Champaign (Global Warming Could Hamper, 2002). "Sequestering carbon in the deep ocean is, at best, a technique to buy time," Jain concluded. 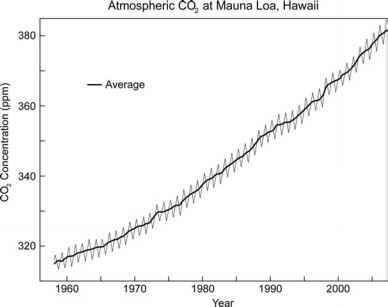 "Carbon dioxide dumped in the oceans won't stay there forever. Eventually it will percolate to the surface and into the atmosphere" (Global Warming Could Hamper, 2002). By 2002, tourism promoters, commercial fishermen, environmentalists, and sports groups had united in the Hawaiian Islands to oppose experiments in carbon dioxide sequestration off the island of Kauai. 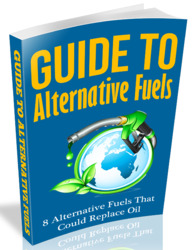 The effort has drawn support from Chevron/Texaco, General Motors, Ford, and ExxonMobil. Opponents fear that it will increase the acidity of the local ocean water and imperil animal and plant life. The U.S.
Department of Energy had allowed the companies to begin work without an environmental impact statement because it asserted that human beings would not be affected. Congressional representative Patsy Mink of Hawaii said that "Hawaii's ocean environment is too precious to put at risk for an experiment of this kind" (Dunne, 2002, 2). The same company that sought to inject carbon dioxide into the sea off Hawaii also was lobbying to deposit 5.4 tons of pure CO2 deep under the North Sea near Norway. This experiment was set to begin during the summer of 2002 until environmentalists campaigned successfully to stop it. According to an Environment News Service report, The Norwegian oil firm Statoil already was injecting roughly 1 million tons of CO2 per year into the rock strata of an offshore oilfield in the North Sea, but no one has yet tried sequestration in the oceans. Led by the Norwegian Institute for Water Research, a coalition including United States, Japanese, Canadian and Australian organizations was planning to inject five tons of liquid CO2 at 800 meters depth off the coast of Norway (Liquid CO2, 2002). Norway's Pollution Control Authority granted the project a discharge permit in early July 2002, subject to approval by the environment ministry. "The sea is not a dumping ground. It's illegal to dump nuclear or toxic waste at sea, and it's illegal to dump CO2—the fossil fuel industry's waste," said Truls Gulowsen, Greenpeace Norway climate campaigner (Liquid CO2, 2002). A last-minute veto from Norway's environment minister Borge Brendeon on August 26, 2002, stopped the project. "The possible future use of the ocean as a storage place for CO2 is controversial... [It] could violate current international rules concerning sea waters," said Environment Minister Boerge Brende (Norway Says No, 2002).